This entry was tagged football, Super Bowl, television. Bookmark the permalink. With Henry around, he can be your main source of entertainment. He is just so cute. 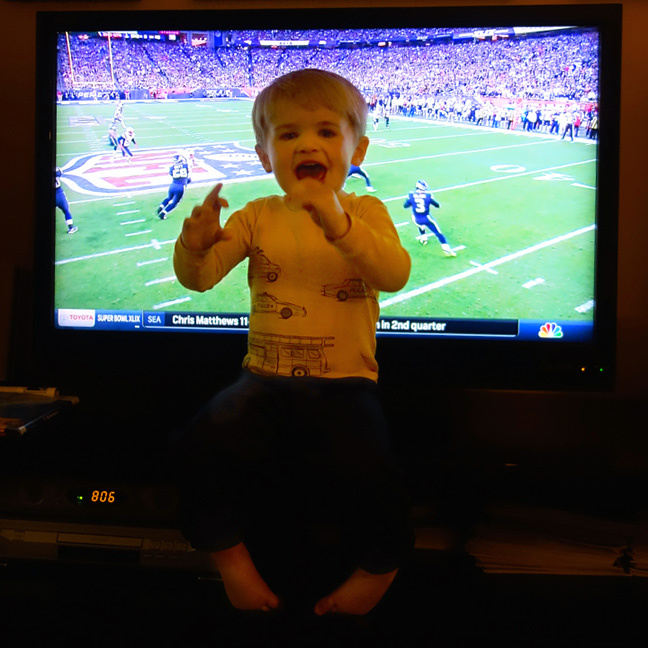 I’d rather watch Henry than football any day – what a sweetie!